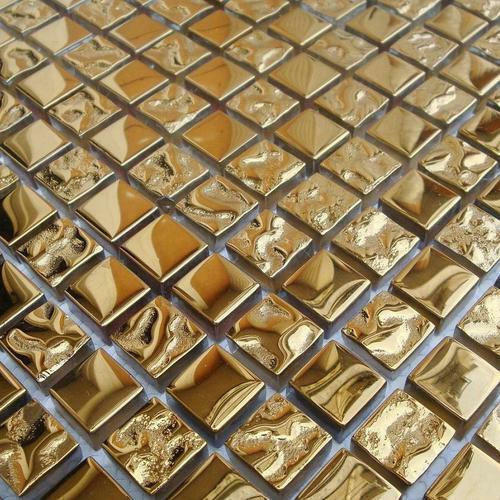 We hold expertise in the domain of offering our valuable clients a premium range of Golden Mosaic Tiles.that enhances the beauty of the interiors. The offered range is processed by our experienced professionals using the best grade basic material and advanced technology. This tile is widely used for covering walls, floors, roofs, showers and table tops. In addition to this, our offered product is highly praised by our prestigious clients for its industry-approved design. Our valuable clients can easily avail it at pocket-friendly prices.